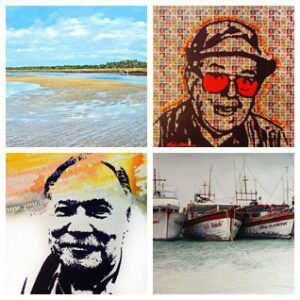 Regarded as one of the best and more innovative artists in the world of fishing art, Vaughn’s current groups of pencil drawings, watercolors, mixed media, acrylic and oil paintings would be classified as contemporary sporting art and represents the last 20 years of his work. 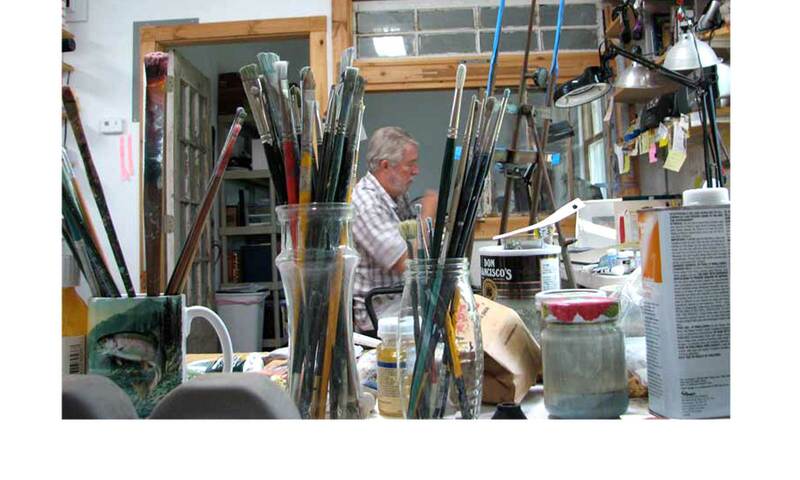 He was trained as a fine artist, taught at a university and his portfolio now spans over 40 years. A multifaceted artist, Vaughn is skilled in many mediums including painting in oil and watercolor, ceramic sculpture, art pottery, printmaking, intaglio, silkscreen, woodcarving, batik and metal working and casting. Please call us at Blackfly Outfitter, 904-997-2220 to ask about purchasing an original Vaughn Cochran painting or fine art print – or better yet see Vaughn’s artwork at the following locations: Blackfly Outfitter in Jacksonville, Fl, Blackfly The Restaurant, 108 Anastasia Blvd, St. Augustine Fl and Blackfly Lodge in Schooner Bay, Abaco Bahamas. Original fine art paintings are for sale in the Vaughn Cochran Marine Art Gallery. 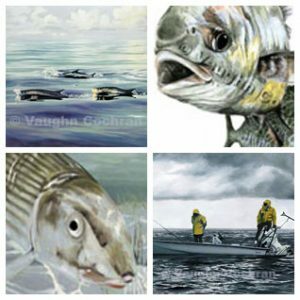 Vaughn’s paintings are not necessarily only paintings of fish but paintings that represent the fishing lifestyle, the sights and sounds of adventure on the water and the challenges of the sport. There are images referring to landscapes and seascapes that surround you while you share the life of just being outdoors. Aesthetically, Vaughn’s work most embodies the concepts of the oriental philosophy of “less is more”. His unique sense of composition and color are always present in everything that he does and doesn’t desert the viewer no matter how the images are used later on. Vaughn Cochran fine art prints are the highest quality digital prints printed from his original paintings. As in the traditional printing process, Vaughn’s prints are made using the “Giclee” printing process which is the finest and most correct version of the scanned image. The colors are the most brilliant and true colors possible to achieve in the reproduction process. The prints are signed and numbered by Vaughn and come with a certificate of authenticity stating the details of the date of issue and prints in the run. The Archive Portfolio is a collection of Vaughn’s work over the span of 40 years. A lot of the entries are recent works from the past 20 years but there are some that are much older. In no way does this represent the entire body of work Vaughn has completed and we are adding new photos as clients share the pieces from their collection. There are many unprocessed slides of Vaughn’s ceramic work and some early sculptures. Some of these pieces are available as fine art prints and others are gone forever. If you happen to stumble upon this site and you are the owner of a piece of Vaughn’s work, please send us a photo of your piece so that we can keep it on file. If you wish to contact Vaughn Cochran, please fill out our Contact form or call the phone number above. We will reply to your message as soon as possible.